Suggested by iKnowledge Hercules is a pretty powerful fighter. While he has never been in the same league as Thor, the guy puts a lot of passion behind every punch. He’s not a fighter that you should take lightly. That being said, Guts is highly proficient with his sword so he’ll have the edge in mid range combat and the difference in their speed isn’t even comparable. Hercules won’t be landing any hits here. Guts wins. This entry was posted in Battles, Guts Battles, Hercules Battles and tagged Guts, Hercules by dreager1. Bookmark the permalink. 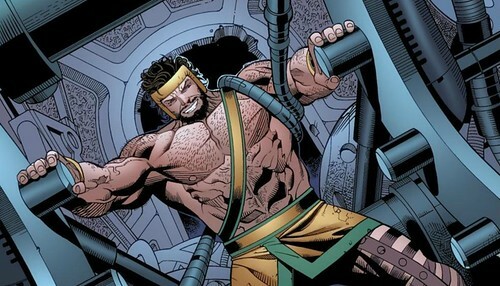 Due to Hercules being the spawn of a Skyfather in Marvel Comics, I still think he has a chance against Guts. Guts is not a half-god like he is.